It’ll all probably end in tears ! 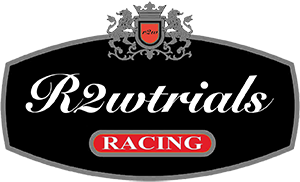 Those with a long memory who used to follow us on r2wtrials will know that the name “r2w” came from my biketrial riding days .. Rock Ring Wreckers became r2w … well at the grand old age of 52, but my mind still thinks i am 22!, i have built up another cycle for hopping around on. I say built up another but in truth i have resurrected an old bike of mine. Thanks to good friend and fellow r2w rider Francisco i now have back my old Echo Pure frame that was last in my possession about 10 years ago. 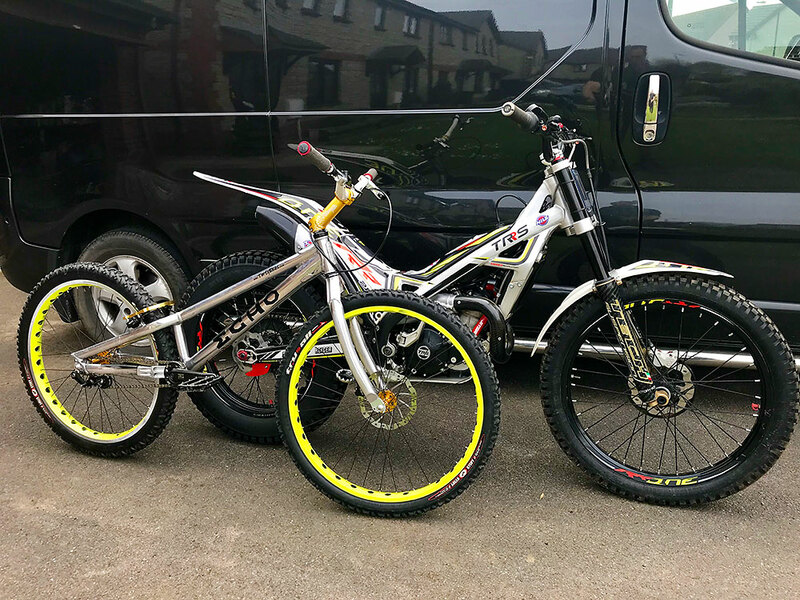 With some new parts and a selection from what i still had kicking around the garage it has turned into a nice little bike for me to try and lose a bit of weight on. 6 years ago i badly knackered my left knee so i won’t be leaping tall buildings, dropping off big steps or in fact trying anything more than a few inches of the ground but i can still hop on the back wheel and after a few minutes i start to sweat. Hopefully Francisco and anyone else who wants to join us will just go out for a bit of fun and get a bit fitter, lose some weight and maybe learn some techniques we can use on the motorcycles! 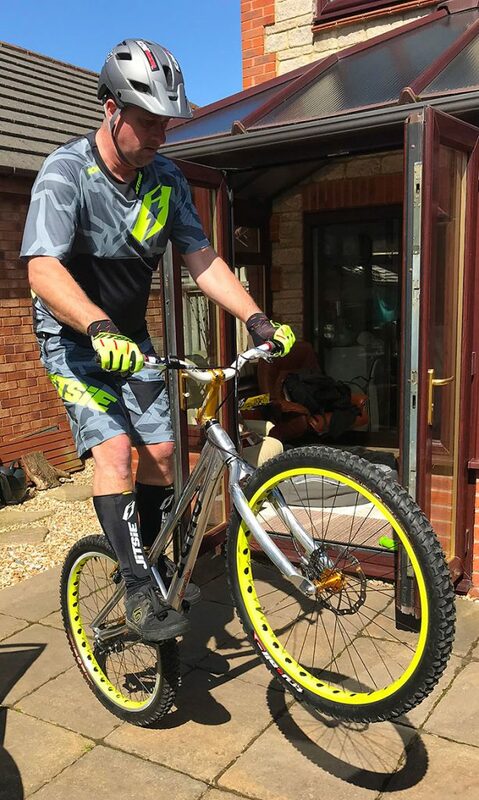 I also have to thank the two Jan’s at Jitsie for sending me some of their lovely biketrial kit .. shorts, shirt, gloves and the all important shin guards. .. as it happened we had a very hot bank holiday weekend and the shirt doubled as a great summer motorcycle riding shirt, (and before all the nimby’s start i am old enough to choose if i wear short sleeves or not!! 😉 ) and the vented parts of the shirt worked brilliantly. 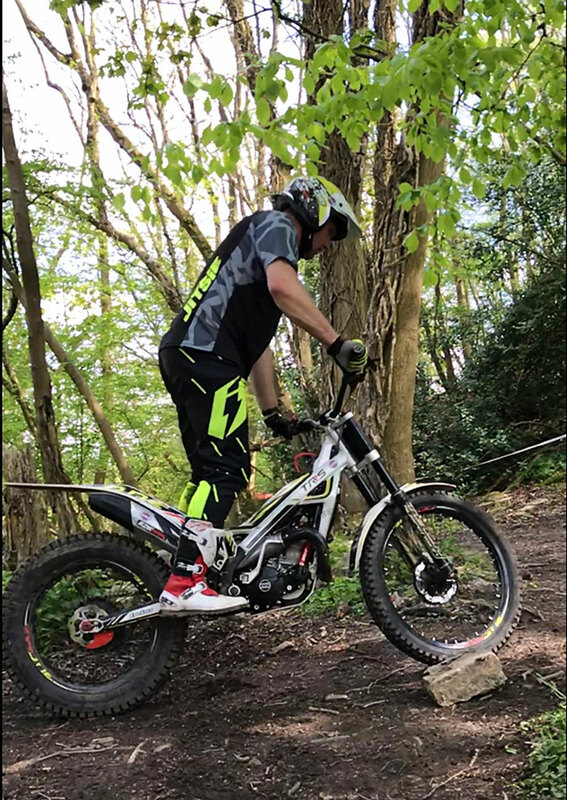 We will hopefully have some updates on a biketrial ride soon … don’t think we can convince Tony to join us again but who knows who else will join us once we get going! This entry was posted in biketrial, News. Bookmark the permalink. ← Been a while … !